It's apple season (!) and even on Cape Cod, where there aren't many orchards, it's possible to find some locally grown specimans that are sweet tart perfection. On the way home from the hairdresser's the other day, I saw a sign for Hemeon's Farm and thankfully there was no one behind me because I made a quick, unexpected detour down a windy dirt road past an orchard of apples, which is simply not a usual sight in my neck of the woods. I bought some delightfully sweet and crunchy Honeycrisp and delicously tangy Cortland apples. It was actually my second apple find. Days before that adventure I scored some organic Winesap apples at the Orleans Farmer’s Market and decided to make a rustic apple tart instead of my usual pie. Since this was a first for me, I checked out a bunch of food blogs to get some ideas from others. Some recipes used phyllo dough, but that didn’t really appeal to me. Others used a classic pastry, either plain or with a little sugar added. I love my pastry recipe (passed down from my Grandma) because it’s flaky, tasty and REALLY easy. Plus you don’t need to refrigerate it, and really, I’m just too impatient for any dough recipes that require me to cool my heels while the dough chills. So I decided to use my own recipe and add two tablespoons of sugar. A really nifty blog called Laura Rebecca’s Kitchen had a terrific recipe for a rustic apple tart that she got from Moon at Peanut Butter Etouffee. From her, I borrowed the filling recipe and the idea to sauté the apples first. She added lemon juice and lemon zest and even though we usually adore tart things, we thought the lemon made the tart too, well, tart. Plus it kind of hid the incredible flavor of the Winesap apples, which have a lovely old fashioned tart flavor all on their own. She also made a really yummy sounding apple caramel sauce for the top that I planned to make, but I hadn’t given the recipe a careful enough look before starting. When it came time to make it I realized I needed applesauce, but didn’t have any. And I had used all the apples in the house to make the tart. It was already 7:30 and the family was salivating to dig in to this tart, so we ate the first one in all its naked glory. Luckily the recipe makes two tarts, so the next night I made the sauce, with a few tweaks of my own. Even though I still hadn’t made it to the store for applesauce, my Mom and step-father brought me bags of Honeycrips apples AND Cortland apples (too funny that I already found my own right around the corner) from my favorite orchard, Alyson’s Orchard in Walpole, New Hampshire, which is conveniently located on the route between their house in Vermont and mine on the Cape. So I made a quick homemade applesauce with two of the Cortland apples and then proceeded to make the recipe. This sauce was so yummy my son and granddaughter fought over the leftovers today. The Boy wanted to dip apple slices into it while my little Sweetie wanted to just eat it plain with a spoon. They both licked their bowls clean. Hard to decide whether to be appalled by their manners, or thrilled I made something they loved so much. Oh, who am I kidding? I’m thrilled, of course. 8 medium size baking apples (I like winesap, Cortland, and MacIntosh, but use whatever is your favorite. Put shortening in a mixing bowl. Add the boiling water and beat with mixer until smooth. Add milk, salt and sugar and beat again. It will look like whipped cream. Add the flour one cup at a time and mix by hand. Divide dough in half to make two tarts. Roll each half until as thin as pie crust. Divide filling between the two and gently fold edges up, doing opposite sides at the same time to keep it even. There should be a circle in the center where apples peak through. Place tarts on cookie sheet lined with parchment paper. Bake at 400 degrees for 15 minutes. Turn down to 375 degrees and bake until crust is light brown and apples begin to bubble, about 15 minutes more. Cook until it bubbles and is slightly thickened, about 15 – 20 minutes. Drizzle over tart and scoop of vanilla ice cream. 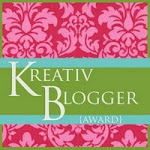 And I LOVE a good food blog...I'll be back!! Thanks for the great comments! It's apple season, so get ready for more apple recipes. I'm not really a lover of sweet things either, but I love all things apple. And LEMON! My two favorite dessert flavors. What a perfect dessert! That sauce will come in so handy for icecream as well. I love apple desserts!